Looking for the best penny Slot machines to play online? Top 10 best penny Slots are here - enjoy! If any Casino games were a synonym for gambling and Casinos, Penny Slots would be the ones. Those are the Slot machines that you see at your local Casino. Those are the Casino machines that are flashing and playing cheerful tunes at gambling-related movies. And they are no doubt the most popular Casino games to play in the United States. As much now as they were decades ago. But when it comes to playing the best Casino penny Slots online, they are not always that easy to find. Especially if you are a player from the US. And even for the rest of the world, there're always the same Slots all over again, developed by the same providers. In Every. Single. Casino. Wouldn’t you want something new for a change? Free penny Slot games that are unique and thrilling and NOT overused? And more importantly, legal for US players? There is a place where you can have all that and more. The best penny Slots to play in 2018 that are unique to the place, legal, and, if you play the games right, you can actually win real cash prizes. That place is called Chumba Casino. And while you can read all about it here, today is the day I take a look at the best penny Slots they have to offer. And there are plenty of those, so let’s start. Oriental Slot games are always a good choice. Why? Everything in them screams ‘fortune’. That’s why this list of the best penny Slot machines wouldn’t be complete without the Garden Princess Slot. Lucky Chinese coins, Lotus flowers, juicy fruits, and other symbols shimmering in gold. A penny Slot like this is bound to be lucky. And the minimum bet (if you bet on one line only) is only $0.01 in Sweeps Cash (or 250 in gold coins). Are you feeling lucky already? What can be more cheerful and generous than Santa Claus? Only Santa’s Riches Slot at Chumba Casino. While it’s still a while until the biggest holidays of the year, spin the reels of this festive penny Slot and enjoy all things Christmas. We all need some cheer every now and then. And what can be a better cheer than meeting Santa and Rudolph or increasing your penny Slot winnings with expanding wilds? The Slot has a five-reel three-row structure and 25 lines to bet on. As the lines are adjustable, you can bet for one payline wagering as little as $0.01 in Sweeps cash. Retro Slot Machines are not that easy to find online but that's one more thing that Chumba Casino has covered. Are Slot bars, 7s, diamonds, and burning flames your cup of tea? Then Super Hot 7’s is one of the best penny Slot machines to play. A classic three-reel and three-row structure, beloved single/double/triple bar and 7s symbols, and only five paylines to care about. And let’s not forget the flames in the background... Will you dare to play free Penny Slots that are THAT hot? No one does best penny Slots themes better than Chumba. Even when they take such simple themes as ‘all things iron’, they turn them into a fascinating Casino game to play online. Take Iron Reels Slot machine for example. The Slot celebrates all things iron: retro trains, pocket watches, guns, and other antiques. It's not a very colorful Slot because, well, everything in it is iron. But if you love free penny Slots with bonus rounds, this is the Slot to go for. While you can bet as low as a penny, three Scatters on the reels can award you with 12 free spins. Do you like Robin Hood or the Tomb Raider Lara Croft? 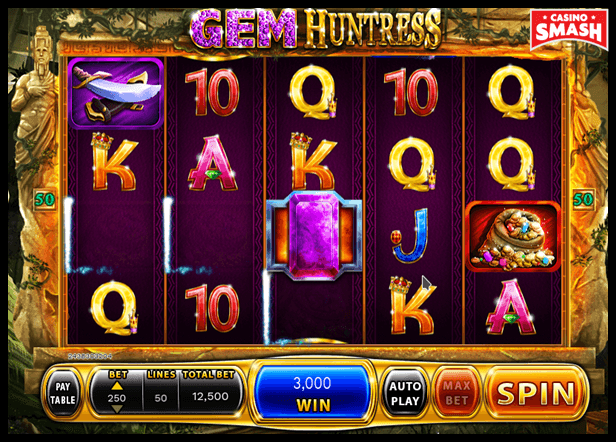 Then you’ll enjoy the Gem Huntress Penny Slot. The game has a five-reel and four-row structure and an adventurous character that spins the reels to hunt gems hidden in 50 paylines. It’s one of the most exciting penny Slots you can find online. 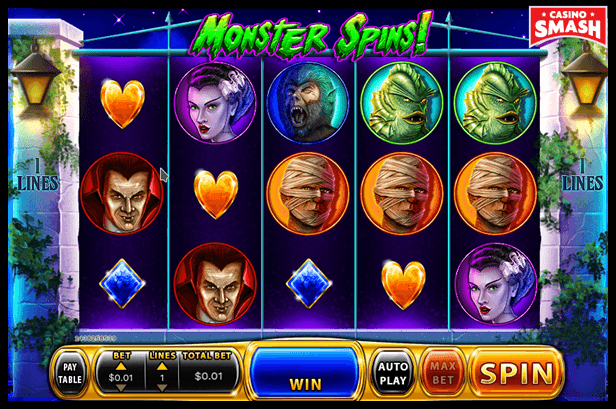 On this Casino Slot, you will meet wild animals, deadly weapons, and the Huntress herself. Mega Stacks are here to increase the chances of big wins. And the stakes are as low as a penny in Sweeps cash per line. Fancy an adventure? Then it’s time to spin the Gem Huntress! If you love big and frequent payouts, hurry up to play Wolf Dreaming penny Slot. It has 243 paylines in total and features wild animals and birds as the Slot symbols. The structure is the modern-slot-classics - five reels and three rows. The Slot doesn’t lack modern Slot features either. Getting three scatters (the Tipi tent symbol) will activate 10 free spins. 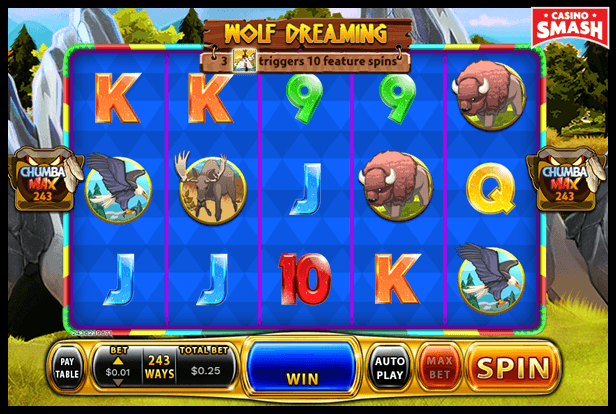 The Slot is called Wolf Dreaming but it’s definitely not a dream. It’s as real as all the real cash prizes you can get at Chumba Casino. Do you ever feel as if some Slot features are just too good to pass on? That’s how I felt when I saw Locked Wild Reels feature on Monster Spins penny Slot. While playing the Slot at night might not be the best idea (if you are afraid of scary things, that is), it’s a definite must-try nevertheless. Who needs a theme dedicated to a single monster when you can have all monsters in one game? Werewolves, mummies, Dracula, and other vampires, the monster from the Frankenstein - you name it. Don’t be. The winnings are too sweet. And they are yours to spin if you are brave enough. If I had to vote for the best-looking penny Slots to play online, King of Gods would be on top of that list. Fantastic high-quality graphics make you feel as if you are a god, too. Living your dramatic affairs-filled life in the Mount Olympus. 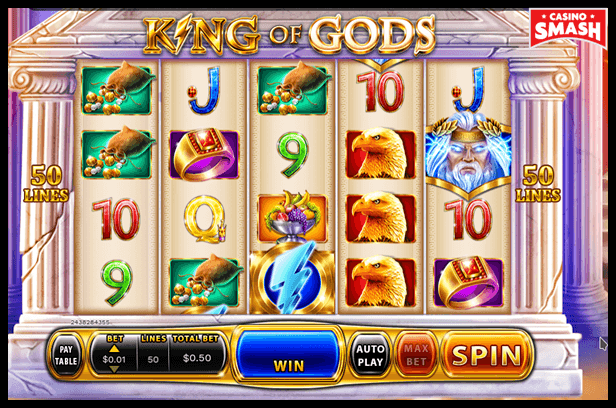 King of Gods penny Slot is the whole cornucopia of things: fruits, golden artifacts, and Laurel wreaths. The presence of Zeus himself and his lighting power is here as well. Lighting may seem dangerous but you'll soon find out how rewarding it is. Special Lighting Chest Bonus and Striking Wilds Free Games can bring tons of gold coins or sweeps cash to make your day if you choose to play this Slot. Feel what it’s like to be the King of Gods yourself. Follow Zeus in this 50-payline adventure. If not King of Gods, maybe something closer to the Earth would peak your interest? Then Big Boss penny Slot is the right one for you. Luxury life is big here, too. Except it’s not up in the clouds. Jazz music, Casino dice, fancy cars, and jewelry - those are very mundane things. 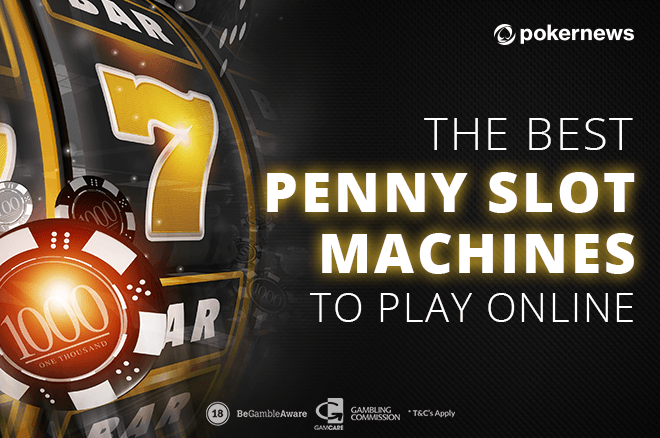 The Slot has 20 adjustable paylines, so it’s a perfect penny Slot machine to try. But what I love most about this Slot is not a penny as the minimum wager. It’s free spins with big wins. Getting three Big Boss symbols on the first, third, and fifth reel triggers 10 feature spins! And that’s not all. All the wins from these spins will be double! Ready to win big? Big Boss is here to help you out. Finally, number 1. The king of all the best penny Slot machines to play in 2018 is the Big GoREELa Slot. First, it has three progressive jackpots. And a grand prize that reaches $300K+ in Sweeps Cash or 6 billion in gold coins. The reel structure is unique. And very cool, too. The first and the last (fifth) reels have three rows each while the reels between - four. The symbols feature colorful jungle animals, birds, and diamonds. And there are 576 ways to win! No wonder the recent wins table is always full of players nailing this Slot machine. Play Big GoREELa now to have a chance to end up in this table.